The last time these two sides came across each other, Gujarat Lions had the better of Kolkata Knight Riders. Shakib Al Hasan and Yusuf Pathan might have scored unbeaten half-centuries but their efforts were unable to cover the failure of the top four batsmen. Only ten days might have passed after that match, but the vehemence of the tournament does not allow any team to be complacent now. Gujarat Lions was the No. 1 team for the most part of the first half of IPL 9. From six wins in the first seven matches to four defeats in the next five, Lions' campaign has definitely faced some repercussions. They are now at the fifth position. A win in the penultimate match would release the pressure on them before the last match. They have been bolstered by the return of their captain, Suresh Raina, who was on a paternity leave. The rest of the squad will more or less remain the same. What Raina would be asking from his players would be to replicate on their performance of the past. The team's strength lied in the way the openers batted in the powerplay overs. Half the match was won with the way Dwayne Smith and Brendon McCullum took charge against the opposition from ball one. That kind of a start is somehow missing now. Raina himself will be looking to improve his numbers in this season. His 286 runs in 11 matches have come at an average of 26.00. He is yet to play a match-winning knock for his team in this season. Such a knock in this match might take his team to the play-offs. 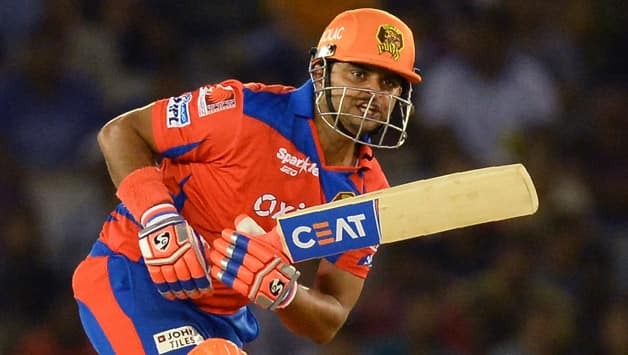 Raina's return will boost the Lions. Dinesh Karthik has come good for the Lions on many occasions in this season. He has been their 'Go-to' man during a crisis. Aaron Finch has been the highest run-scorer for his team. The 29-year old dynamic Australian batsman has 313 runs in nine matches under his name at an average of 52.16 and a strike rate of 132.62. One move that can prove beneficial for the Lions is promoting Finch at No. 4 or even at No. 3. With the kind of form he is in, No. 5 is way too lower. Dwayne Bravo and Ravindra Jadeja will continue with their dual roles. The bowling attack looks settled with Praveen Kumar and Dhawal Kulkarni maintaining impressive economy rates. Shivil Kaushik might have to make way for Shadab Jakati. The first thing that comes to mind with respect to Kolkata Knight Riders is that their highest wicket-taker, Andre Russell, will not feature in this match. Russell has been an active participant for Knight Riders in all the three departments and to fill such a void at this crucial juncture of a tourney can be difficult for the captain. 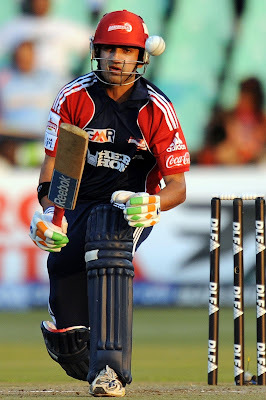 Talking of the captain, who is also their highest run-scorer, the management would be desiring of another responsible innings from Gautam Gambhir at the top of the order. Knight Riders' top order has always looked sorted out. Robin Uthappa and Manish Pandey have been tried and tested faces in the IPL. With an average of 90.33 and a strike rate of 157.55, Yusuf Pathan has looked dangerous than ever in this season. He has shown signs of his best at pivotal stages of the tournament in the past seasons, this match might well be another of those for him. Shakib Al Hasan is yet to reach his best in this season but that is mostly because of the limited chances been given to him. Sunil Narine only has seven wickets in eight matches under his belt but his economy rate of 6.94 stands for him. Gambhir would want him to continue with the containing role. Piyush Chawla has been their second-best bowler after Russell in this season, With Russell unavailable for this match, the management will have to look for someone who can bowl in the powerplay. One such option can be Umesh Yadav. The 28-year old right-arm fast-medium bowler has 10 wickets in nine matches in this IPL at an average of 23.40. He can replace Ankit Rajpoot in the playing eleven. They can also think of including Shaun Tait for Morne Morkel. Piyush Chawla will hold the key for KKR against McCullum, Smith and Finch. But the biggest replacement is yet to be talked about. Who will replace Andre Russell? Some might call Jason Holder as an eye for an eye replacement for Russell, but in my opinion, one out of Chris Lynn or Colin Munro should be included in order to strengthen the batting order. Considering Gujarat's line-up, KKR should be ready to chase a big total with a strong batting unit. If batting first, they should aim nothing less than 180 because the wicket will favor the batsmen in the second innings as well. As far as the overs, which would have been bowled by Russell are concerned, Gambhir can bowl 2-3 of them from Yusuf Pathan as well. Any team with Brendon McCullum in it looks a different side when he gets going. With 267 runs in 12 matches, he is due on a Typical-McCullum-Style knock. In Russell's absence, Shakib Al Hasan will have to up the ante with both the bat and the bowl. He is someone who can make a difference with his all-round abilities. Both the teams have played 12 matches, won seven each and lost five each. A victory for any one of them will land them in the Top 2 alongside Sun Risers Hyderabad.